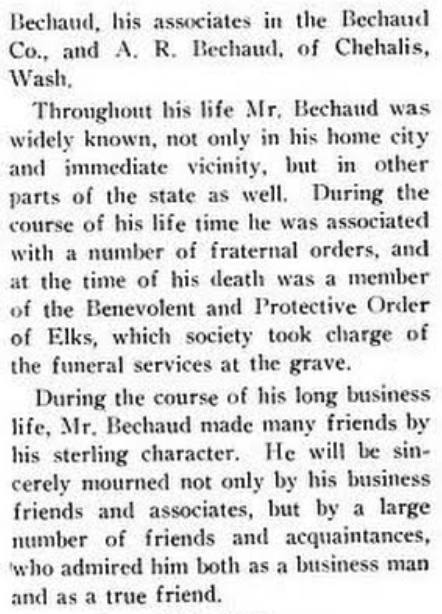 Today is the birthday of Frank H. Bechaud (January 19, 1848-November 28, 1916. 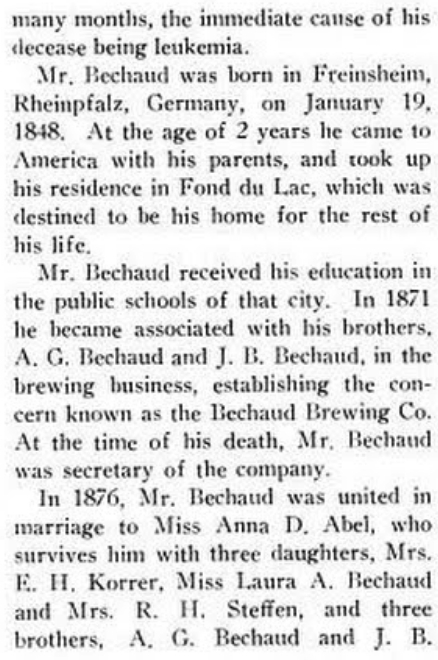 He was born in Rheinpflz, Germany, but emigrated with his parents in 1850, when he was two, settling on Fond du Lac, Wisconsin. 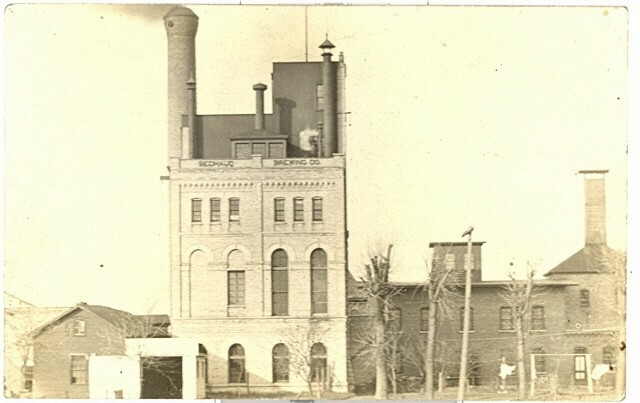 In 1871, along with two of his brothers, Adolph and Jean (a.k.a. 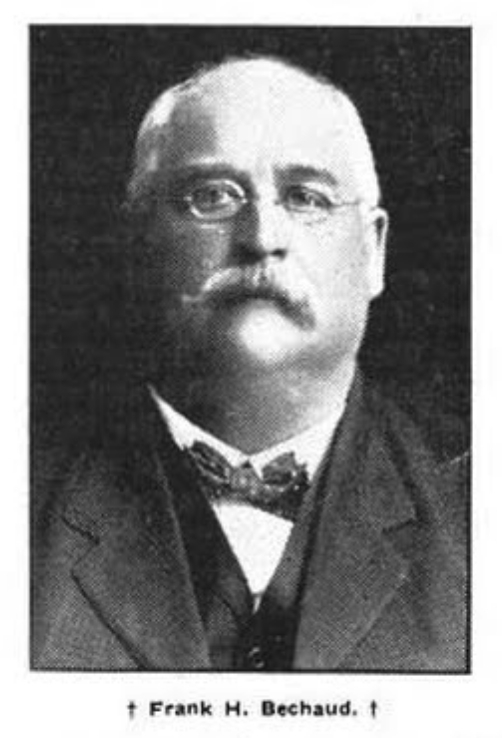 John), founded the A,G. 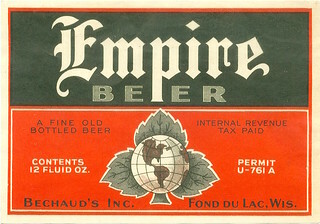 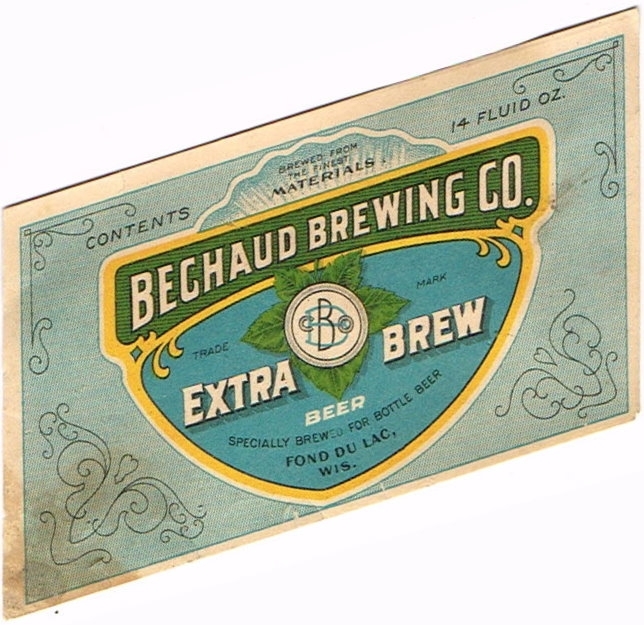 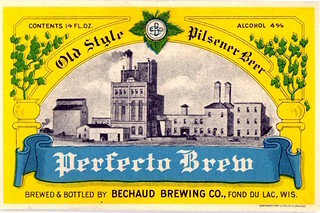 Bechaud Brewery, which was also known as the A.G. Bechaud & Bros. Brewery and later, beginning in 1875, traded under the Empire Brewery name, before returning to Bechaud Brewery when it reopened after prohibition ended, before closing for good in 1941.